Terror and terroir investigates the Comité Régional d’Action Viticole (CRAV), a loose affiliation of militant winegrowers in the sun-drenched, southern vineyards of the Languedoc. Since 1961, they have fought to protect their livelihood. They were responsible for sabotage, bombings, hijackings and even the shooting of a policeman. Against the backdrop of European integration and decolonisation they have rallied around banners of Resistance and their strong Republican heritage, whilst their peasant protests fed into Occitan and anti-globalisation movements. At heart, however, the CRAV remain farmers championing the right of people to live and work the land. Between the romantic mythology of terroir, and the misguided, passionate violence of terror, this book unpicks the contentious issues of regionalism, protest and violence. It offers an insight into a neglected area of France’s past that continues to impinge on its future, infused with one of the most potent symbols of French culture: wine. Looking at decolonization in the conditional te nse, this volume teases out the complex and uncertain ends of British and French empire in Africa during the period of ‘late colonial shift’ after 1945. Rather than view decolonization as an inevitable process, the contributors together explore the crucial historical moments in which change was negotiated, compromises were made, and debates were staged. The astounding variety of wines available can seem a little overwhelming at times. Yet, to enjoy a wine you don’t necessarily need to know its life story. This book introduces you to some of the nuances of the wine world, so that you can make your own exploration of the tantalising opportunities available. With a little more wine knowledge you may surprise yourself – safe old favourites are soon replaced with exciting new gastronomic discoveries. From wine and food pairing to correct tasting procedure, we will help you get the best out of the galaxy of stunning wines available from across the world. Including tips on buying, cellaring and the health benefits of the noble beverage, The Wine Pocket Bible is your trusty companion on a truly enjoyable tour of the world of wine. ‘Eclipse in the Dark Years: Pick-up Flights, Routes of Resistance and the Free French’, European Review of History, 25:2 (2018), 392-414. This article charts the importance of clandestine flights from Britain into Occupied France during the Second World War as a route of resistance. These pick-up flights were coordinated from London and were an example of the inter-Allied cooperation and Franco-British negotiation that took place between the Bureau central de renseignement et d’action (BCRA), the Secret Intelligence Service (SIS, or MI6) and Special Operations Executive (SOE). The flights allowed General Charles de Gaulle to hold court with the leaders of resistance networks, smoothing problems on the route to a unified resistance council. Likewise, they allowed him to build bridges between vying factions in France and in London, drawing together the movements under his command and personalizing the narrative of resistance. From busy London restaurants and family homes via secret flights to darkened fields in Occupied France, the route of these transfers shaped the character of resistance. This article draws out the personal interactions and connections that underpinned these networks and describes the enduring connections of this route of resistance, starting with the commemoration of Jean Moulin’s crash landing at RAF Tangmere, the forward station for many of these flights. This article addresses the cultural activity of Keïta Fodéba, a popular musician, poet, dramatist and latterly prominent member of the independent Guinean government. His experiences during the 1950s reflect emergent trends during this period of profound negotiation, in which the terms of the ‘postcolonial’ world were established. Fodéba was a formative figure in the emergence of Guinean National Culture but also played an important role in providing Guinea’s independence movement with a renewed impetus beyond Marxist ideology and demands for political equality. Using archival material that reveals French Metropolitan fears about his activities, we gain an insight into the networks of anti-colonial activism with which he engaged. Following Fodéba from his triumph on Broadway to his death at Camp Boiro, gives new perspectives on his challenging work and offers greater insight into the transfers and negotiations between Metropole, colony and beyond that characterised the decolonization process. During the summer of 1907, France experienced one of its largest social disturbances since the Revolution, as the winegrowers of the Languedoc-Roussillon led a mass protest movement that paralysed the region and challenged the state. Although the Grande Révolte evoked references to the Albigensian Crusade, and juxtaposed North and South, it never fully represented a moment of Occitan regionalist rising. The failure of the cultural organisation the Félibrige to fully engage with protesters led to a fissure between political and cultural expressions of Occitan identity that marked the movement thereafter. 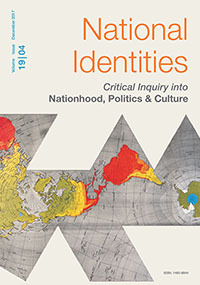 By combining linguistic anthropology and historical analysis, the authors are able to foreground a key aspect of national identity formation as it occurred in 1907. Considering the impact of the Grande Révolte on the identity and language of the Midi offers us an insight into the development of regionalism both within and beyond the borders of the French nation. ‘Of Colonial Futures and an Administrative Alamo: Investment, Reform and the Loi-cadre (1956) in French West Africa’, French History, 28:1 (2014), 92-113. The loi cadre (1956) was not a final submission to the political realities of a moribund empire. Rather, it was an attempt to redefine the way France interacted with her colonies. This was perhaps most telling in French West Africa, where the co-option of political elites was the spearhead of a greater swathe of subtle reforms. Administrators effectively separated the economic governance of French West Africa from political reality. This allowed for an increasing dynamism in the political foreground, granting autonomy to local assemblies and playing off interest groups against each other whilst strengthening the economic fundamentals that bound French West Africa to the metropole. This article examines the interactions between government reforms and private investment to highlight the para-political interests inherent in colonial administration, helping to outline the continuities that defined the postcolonial relationship. ‘”Je suis socialiste et quinziste “: Rugby, Wine and Socialism in the Aude since 1976’, National Identities, 16:4 (2014), 291-309. In the Languedoc, the intersections between rugby, wine and socialism give telling insights into the value and significance of regional identity. At the end of the 1970s, the Languedoc’s wine industry and rugby were facing up to the challenges of modernisation; the responses which emerged drew upon the principles of regional identity drawn from the ‘banal nationalism’ of wine-drinking, left-voting rugby players in local administrations and at the head of powerful trade unions. The cross-over between board-room and locker-room helped to accent regional responses to change and modernization, ensuring that regional heritage remained potent and ready to be communicated. British broadcasters imagined an emerging market for their cultural products in the last days of empire, seeking to ensure that ‘Information after Imperialism’ remained a profitable enterprise. BBC funders considered its role in external representation a national asset, and believed that expanding overseas investment in this way would serve Britain’s long-term interests. This called for a form of development broadcasting beyond its own former colonies, especially in West Africa, with new vernacular services in French and Hausa. Yet this was a crowded marketplace, with competition from traditional imperial rivals, cold war powers, and also emergent non-aligned competitors. By analysing Franco-British broadcasting traditions, in particular, we can see how this asset was developed within the framework of an imagined market in which cultural value fluctuated. An Uncertain Icon: The Changing Significance of the Croix Occitane in the Midi viticole’, Place and Locality in Modern France, ed. P. Young & P Whalen (London, Bloomsbury, 2014). The Occitan cross adorns many crimson flags in the Languedoc, communicating a proud attachment to both the region’s identity and its long and turbulent history. The symbol fluctuates historically between an articulation of regional difference and a claim towards Occitan political separatism. By tracing the varying deployment of this symbol from the head of protest marches in the 1960s to the top of government buildings after the decentralisation drive of the 1980s, an illuminating analysis of both Occitan and Languedocien identity emerges which places at its heart the dynamic of centre and periphery. The extension of the debate beyond the millennium by Georges Freche has likewise shown the tussles for ownership of this potent symbol to have been an important, if subtle, battleground in the recent history of the region. Specific notions of place, patrimoine and a fondness for folklore have bound up the symbol of the Occitan nation with dynamic political causes and ensured its continued relevance. ‘Review: Ruth Ginio, The French Army and its African Soldiers’, Journal of Contemporary History 54:1 (2019), 234-236. ‘Review: Charles Rist, Season of Infamy: A Diary of War and Occupation 1939–1945’, European History Quarterly, 47:4 (2017), 775-777. ‘Review: Rod Phillips, French Wine: A History’, H-France Review, 17:155 (2017), 1-5. ‘Review: Emile Chabal (ed. ), France Since the 1970s: History, Politics and Memory in an Age of Uncertainty’, Journal of Contemporary History, 51:4 (2016), 925-926. ‘Review: Nicole Rudolph, At Home in postwar France: Modern Mass Housing and the Right to Comfort’, Home Cultures, 13:3 (2016), 343-345. 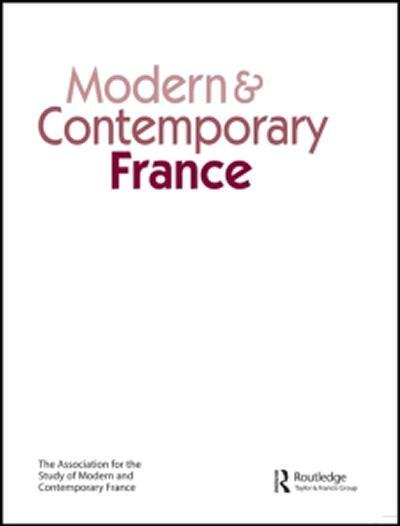 ‘Review: Noelle Plack, Common Land, Wine and the French Revolution: Rural Society and Economy in Southern France, c.1789–1820’, French History, 25:1 (2011), 117-119. ‘How a Ladies’ College Played a Vital Role in Operation Overlord’, Tangmere Logbook (Autumn, 2016), 25-28. ‘Tangmere and Operation Neptune: The air cover plan for D-Day and Tangmere’s part in it’, Tangmere Logbook (Summer 2014), 24-28. Long before ‘public diplomacy’ became the familiar term it is today, the influence exercised overseas by BBC World Service (WS) and the British Council (BC) had been a prized (and government-funded) asset of British foreign policy and diplomatic initiatives for several generations. Established in 1932 and 1934, respectively, for eight decades their work in international broadcasting and cultural relations has been a principle means of engaging opinion abroad with British cultural, political and social thought and ambitions. The reports in this section discuss how the cultural value of these institutions can be understood in historical context and the amorphous and contingent ways in which it is revealed as a significant and contributing factor in their perceived influence. Based on primary research into the regular, if somewhat ad hoc, government-commissioned reviews of British information and representational services since the Second World War, it takes as its central focus the triangular relationship between WS and BC, those who engage with their services, and the British government. What emerges are a range of professional practices and capacities in which cultural value can be identified, alongside alternative categories of value – political, economic, diplomatic, trade – which have become synonymous with, and reliant on, the exercise of those practices and capacities. To this extent, cultural value is an important, though often hidden, component of the wider public value ascribed to the activities of BBC World Service and British Council, which animates the interaction with their audiences and users. Just as Victor Frankenstein in Mary Shelley famous novel creates what turns out to be a monstrosity, so also does Scottie in Vertigo and Norman Bates in Psycho. Although British audiences were becoming familiar with an evolution in horror, Night of the Living Dead still presented a startling leap into the unknown.